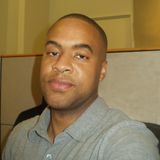 Richard Walkes is a creative with branding experience and a background in executive account management. He is a solid problem solver built thoroughly upon successful client communication. Richard Walkes is comfortable working independently, managing others, handling many different job tasks and dealing with urgent deadlines. Richard Walkes is also capable of adapting to new formats, and enjoy expanding my knowledge base. Richard Walkes has a wide variety of experience in multimedia.